for £1012 for Mick's Coast to Coast walk. for “Living in a glass box for 72 hours at Tesco Supermarket, Long Eaton”. 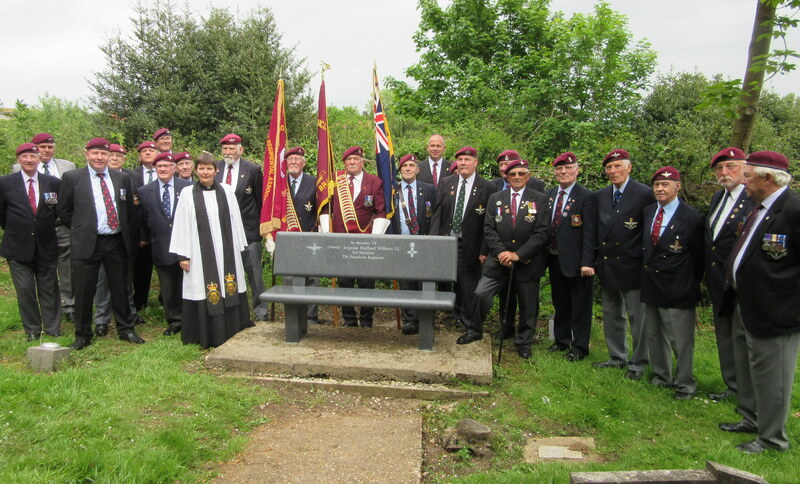 Nottingham Branch and several former members of the Airborne Forces. 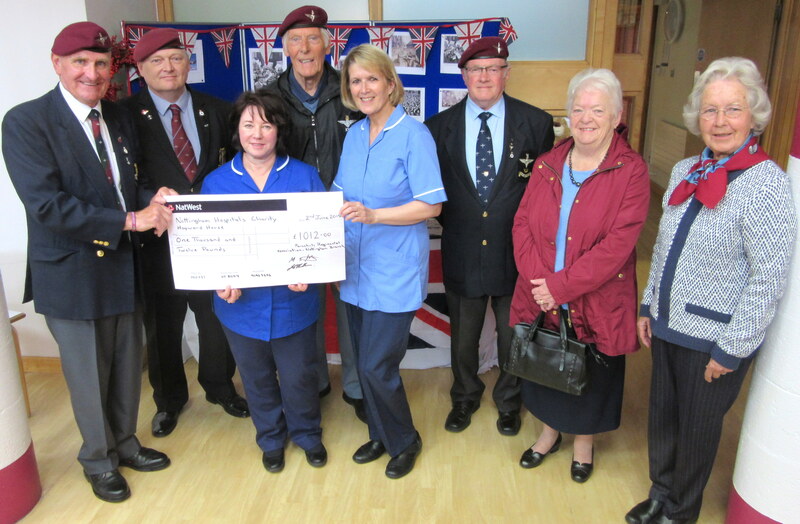 "In memory of Harry Gray"
"In memory of Robert Pearse"
"In memory of Janet Toon"
On June 2nd 2015 the Nottingham Branch pledged £500 to the Treasurers wife, Kay Holding, for her charity Race for Life event being organised by Tesco, Long Eaton. This charity supports breast cancer, which Kay's mother had, and although successfuly treated, later spread, leading to her untimely death at the age of 56. Other Branch members have also dealt with this condition within their own families, and were in support of the charity cause. On the 18th of June the donation was paid into the just giving page for the "Long Eaton Lovelies" page. The Branch wishes Kay and all her friends at Tesco Long Eaton a successful and fruitfall event. On Saturday 16th May 2015, Branch Secretary, Mick O'Connor set off on a 12 day walk from St Bees in the Lake District, to Robin Hood's Bay in North Yorkshire. He was raising money for the Nottingham City Hospitals Charities for Hayward House Hospice, where Mick also volunteers part time for two days a week, helping out in the Hospice garden and with driving patients to and from the Hospice. 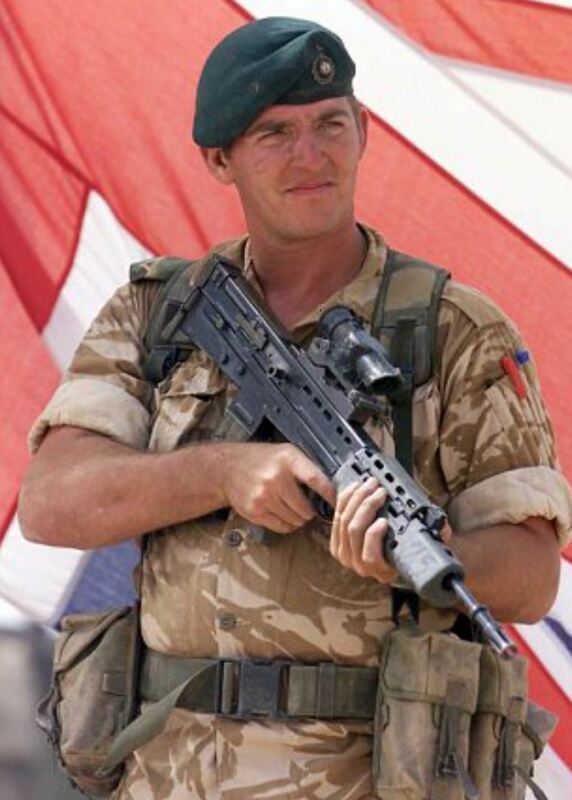 Over the years Mick has raised many thousands of £s for this cause, and it has also been the care to some of our former members, and their families over the years. It was decided that we donate £500 towards Mick's efforts, and that all money's raised from a Tesco collection at Bulwell, would also go to the same cause. By the end of the two days at Tesco's we had raised a further £512, and on Tuesday 2nd of June we presented a cheque for £1012 to the McMillan nurses of the Hospice. It is expected that once all money's have come in from all the sponsers, that Mick will have raised close to £3000 for his efforts. Mick had pledged to walk 1000 over the year from the beginning of 2015, and by the time he had completed the coast to coast walk was already half way there. 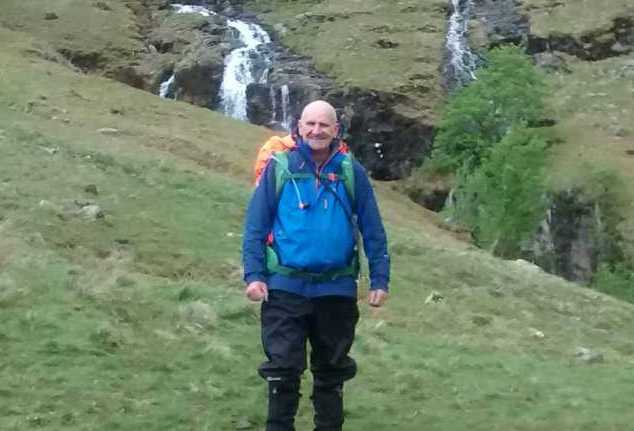 Above: Nottingham Branch Secretary, Mick O'Connor, on the Lake District stage of the Coast to Coast Charity walk. 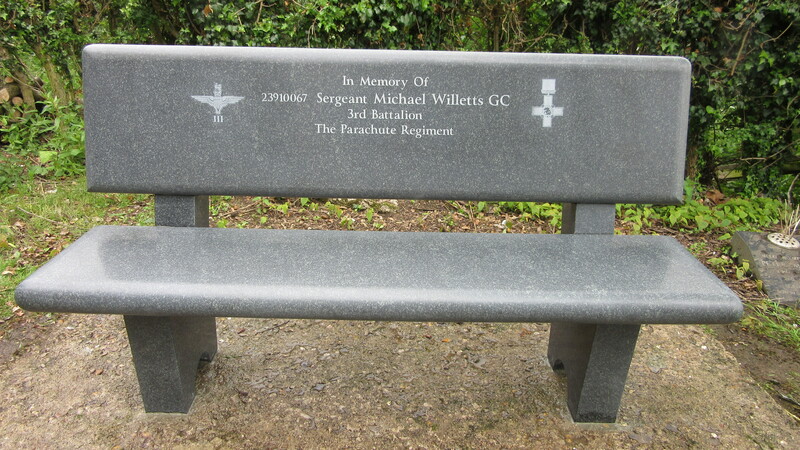 On the 7th of May the Branch President, John Needham and Treasurer, Mark Holding, paid £1500.00 to the Nottingham M&D Stone Masons for a commissioned stone memorial bench for the Michael Willetts GC memorial at St Mary's Parish Church yard, Blidworth. The existing wooden bench was in constant need of annual restoration, due to weather damage, so it was decided in the Summer of 2014 that a new bench be installed. 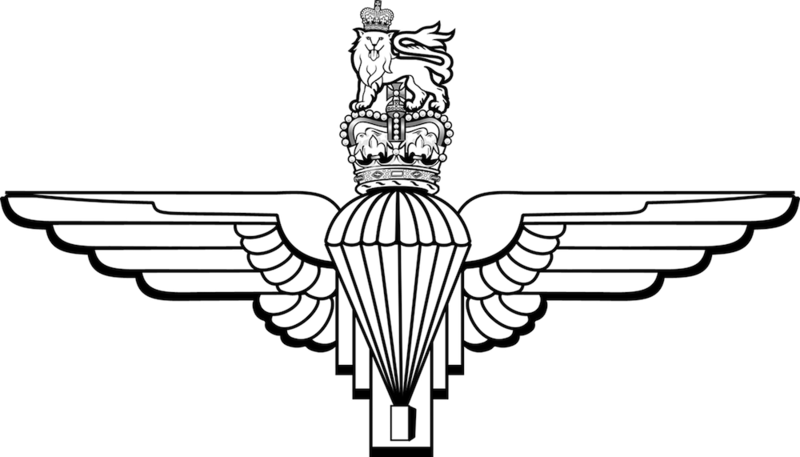 The Midlands Region of the Parachute Regimental Association donated £250.00 towards it, and The Derby Branch of the Parachute Regimental Association donated another £100 towards the cost. The Nottingham Branch paid the remainder. We would like to thank all those that supported us with this and to the Newark Branch, who along with the Nottingham Branch take it in turn to organise this annual memorial each year. On the anniversary that always falls on 25th of May, and this year happened to fall on Bank Holiday Monday there was quite a gathering of people, as word had got around of the special memorial bench unveiling, and included Michael Willetts GC family members, and former soldiers that Michael had served with. After the graveside service and dedication by Reverend Hazel Robinson, members retired to the Bird in Hand public house, where a social gathering and buffet was served, which had been provided by the Newark Branch.